Several new pedestal development renders have been posted from the Let L-410 Turbolet project for X-Plane. Tom Curtis has released the X-Plane 10 optimized version of his Inside Passage scenery. Available at the X-Plane.org Store. - Rebuilt several hangers on the north east ramp. Wilco Publishing has updated the Bombardier CRJ NextGen Series for FSX to version 1.3c. Available at the Product Page. Eric McClintock has posted FSBreak Episode 113: REX Essential Interview. Now available at the FSBreak Website. Taxi2Gate has released the Toncontín International Airport (MHTG) scenery for FSX. Available to purchase at SimMarket. The recently released Nemeth Designs Eurocopter AS355 Ecureuil 2 for FSX is now also available at SimMarket. Zinertek has released the Level-D Boeing 767 HD Texture Upgrade for FS2004. Available to purchase at SimMarket. - New textures in High Definition bring your Level-D 767 to a whole new level of realism! - New flood lights inside the virtual cockpit. - Backlit gauges and instruments during night time! - New and more realistic virtual cockpit. - New and more realistic GPWS callout sounds. The all-new Computer Pilot - Volume 16 Issue 2 - June/July 2012 is now available at the Silver Cloud Publishing Store. -- Increased aileron effectiveness at mid range speeds, reduced at high to match chart. Peak 95 deg sec at 270mph ias, 50 lb stick force. NMG Trading has detailed their future plans and sceneries in the Flight Simulator Airport Scenery Roadmap. MilViz has posted more preview screenshots from the upcoming North American F-86 Sabre for FSX. Khamsin Studio has posted this teaser from the upcoming Pacific Islands Munda Airfield (AGGM) scenery for X-Plane 10. Bill Womack has posted this teaser screenshot to guess his next scenery project for FSX. ImagineSim has released Indira Gandhi International Airport (VIDP) for FSX. Details and purchase at the Product Page. Oryx Simulation has posted several preview pictures from the upcoming 2012 edition of Kelowna X (CYLW) for FSX. FSAddon has posted another teaser screenshot from the soon to be released Lockheed Hudson. The freeware Adisucipto International Airport (WARJ) scenery for FSX is now available to download at Flightsim.com. iFly has released the Boeing 737NG for FSX Feature Pack. More information and download at the Flight1 Website. Flight One Software is curently offering $10.00 off the Flight1 Cessna T182T for FSX as the Weekly Special. Blue Sky Scenery has released the freeware Big Bear City, San Bernadino Mountains photo scenery for FSX and FS2004. UK2000 has released basic and reduced freeware versions of the Cardiff Airport (EGFF) scenery for FSX and FS2004. 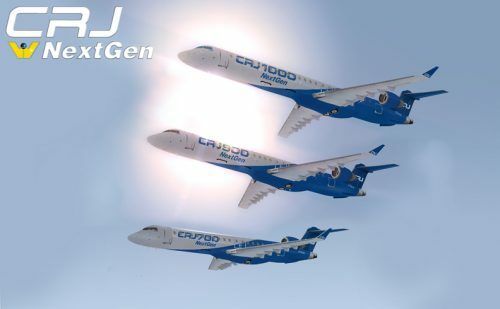 AWG Simulations has posted more preview screenshots from the upcoming Bombardier CRJ100 an CRJ200 for FSX. Alabeo has added more preview screenshots from the upcoming Cessna 188 Crop Duster for FSX. Aerosoft has posted more development previews from the upcoming de Havilland DHC-6 Twin Otter Extended for FSX. Abacus Publishing is offering 15% discounts on select titles during the Dads and Grads Sale. Valid until June 11th 2012. Tom Kyler from the International X-Plane Engineering Group has posted this development update on the 737-300 for X-Plane. FranceVFR has posted new preview screenshots from the upcoming Aquitaine Photo HD Vol.1 scenery for FSX. Pacific Islands Simulation has posted more previews from Xiamen Gaoqi International Airport (ZSAM) for FSX. LatinVFR has announced development of Cozumel International Airport (MMCZ) for FSX and FS2004. Merelle Bruno a.k.a. Thor's Hammer has announced development of the Robin DR.400-120 for FSX. GrandSurf has posted new teaser screenshots from the upcoming Oakridge State Airport (5S0) scenery for FSX and P3D. FlightSim Development Group has released the freeware Oresund Bridge and Surroundings scenery addon for FSX. 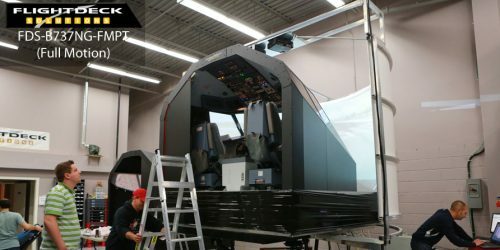 Flightdeck Solutions has unveiled the FDS-B737NG-FMPT Full Motion Simulator during last weekend's Open House. Carenado has posted new preview screenshots from the upcoming Cessna CT182T Skylane G1000 for FSX. Aerosoft has posted the first preview screenshots from the upcoming Mega Airport Rome Fiumicino (LIRF) scenery. Aerosoft has released Lugano Airport (LSZA) for X-Plane 10. Available at the Product Page and SimMarket. Peter Hager has released the Airbus A321-231 for X-Plane 9 and X-Plane 10. Details and purchase at the Product Page. Taxi2Gate has posted new preview screenshots from the upcoming Toncontín Intl. Airport (MHTG) for FSX and FS2004. FlyJSim has posted orthographic screenshots from the upcoming Boeing 727 Series for X-Plane.